My CG sample for the new challenge at AVJ uses several portraits in it, but how would you define a portrait? 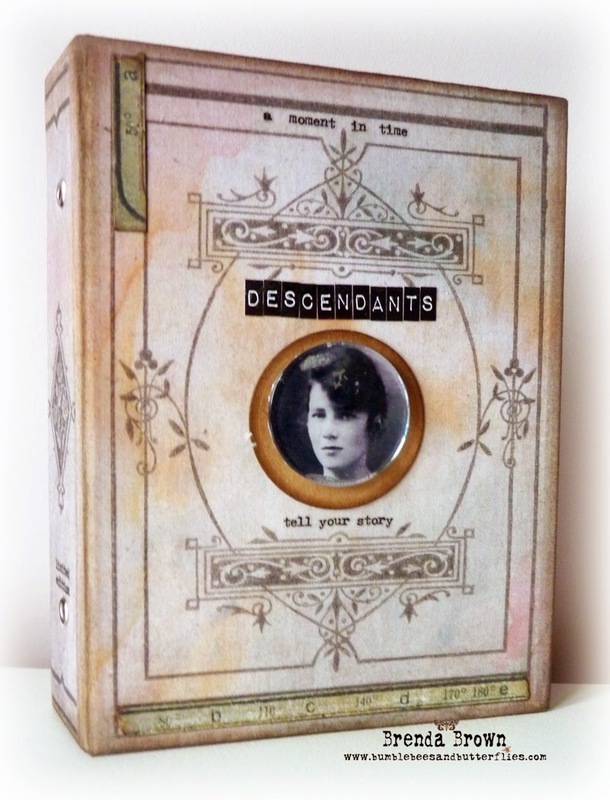 I used a Tim worn cover and had great fun changing it into a place to keep photos of current and past generations of immediate family. I dipped it in distress inks (still one of my most favourite techniques) to achieve an aged look to it. 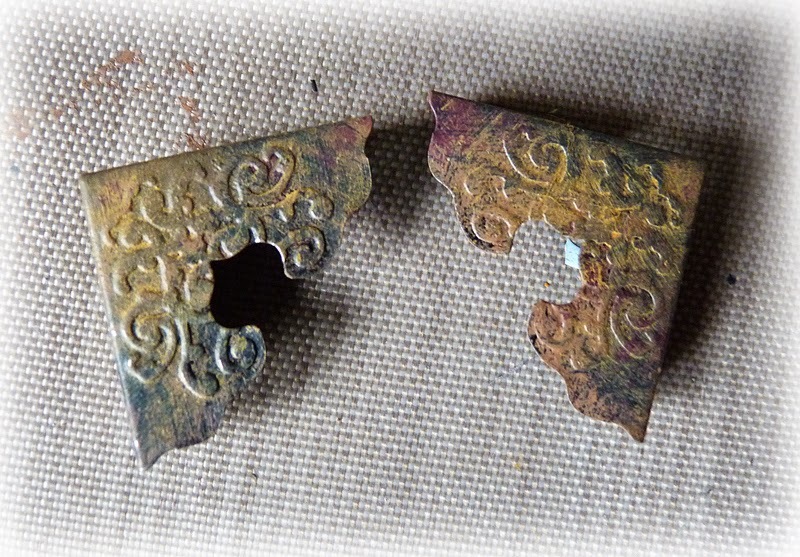 I love the way the colours have blended and dried achieving some fabulous water damage results. I didn't add too much to the front cover, I just like it simple as there is already quite a lot of decoration on it. (This photo was taken before I added the ribbon to tie it up). The photo is my grandmother when she was a young woman and married to my grandpa. 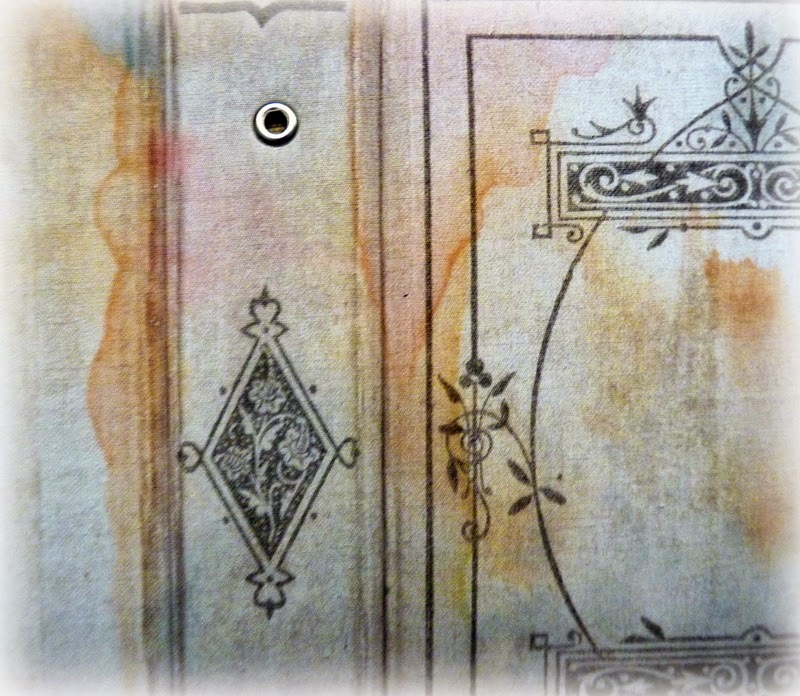 You can see I added two small pieces of collage, some inked layers using Tim's stencils, remnant rubs and label letters. Let's open the book and see what is inside. Family portraits, in fact 5 generations of us girls. The large cabinet card photo is one of my grandmother when she was small and in fact I captured all of us as children. On the left hand side is my Mum at the top, Chris and I, then my daughter Maddie and my two grandchildren at the bottom. So having decided that rather than make a journal I would add a configurations box, I lined it with Tim paper and edged it with tissue tape. I wanted to add two corners and for them to look aged too. So I layered distress paints, drying them between coats until I was happy with the look. 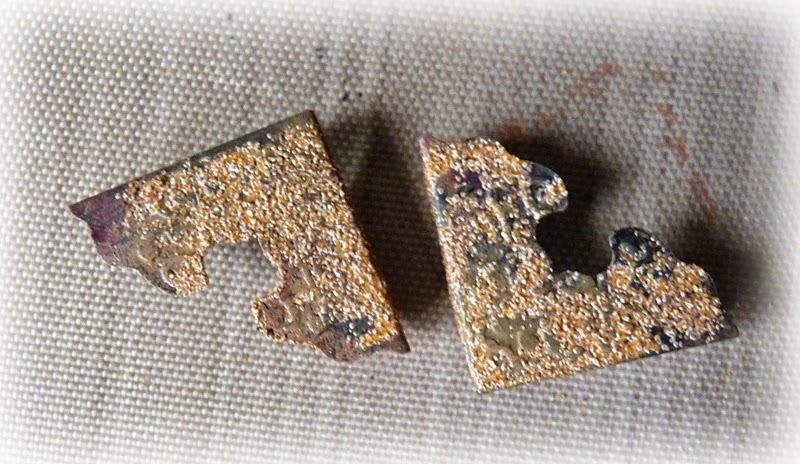 My intention was to get a rusted look by using tea dye distress embossing powders (the only orangey one I have), but I was disappointed with the soft effects. So I dripped sunshine yellow and butterscotch alcohol inks over the top. 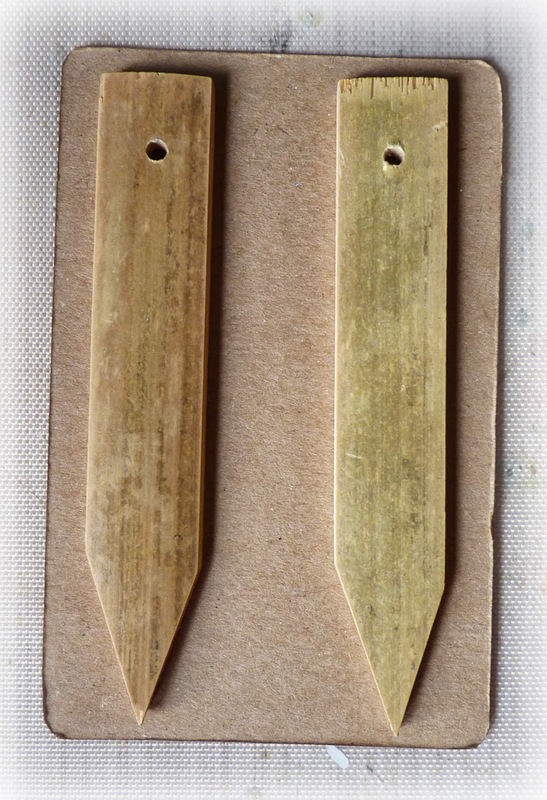 The photograph of my grandmother was mounted onto craft card and then I adhered these two pieces of wood to the back to raise it up. Beneath the photo I added some collage pieces and more patterned paper and elements in various places. I dipped the inside covers in the distress inks the same as the front cover and dried them adding some random stamped text. 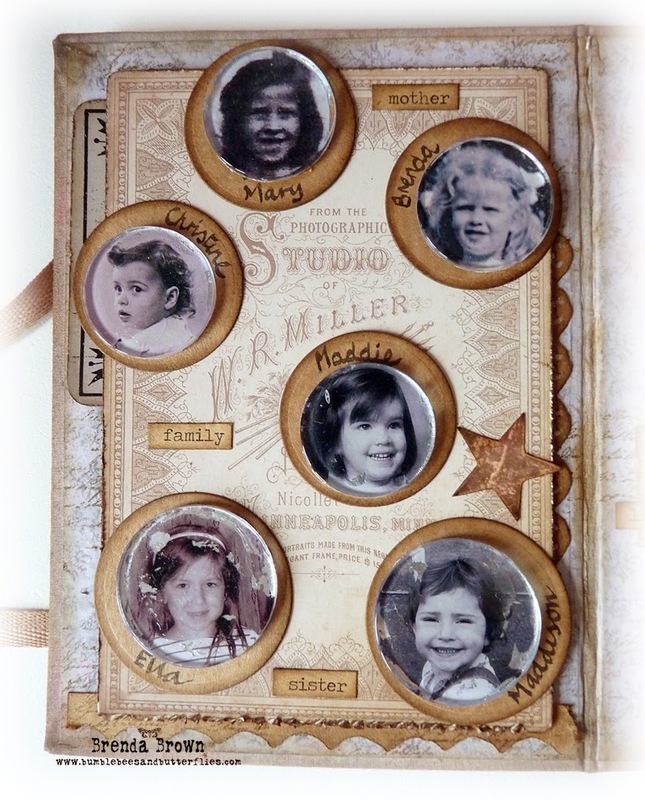 The circular portraits were made using Tim's reflective imagery technique, although I changed it slightly, but you can see on the girls photos the metal showing through the distressed areas, (Don't forget - embrace your imperfections). 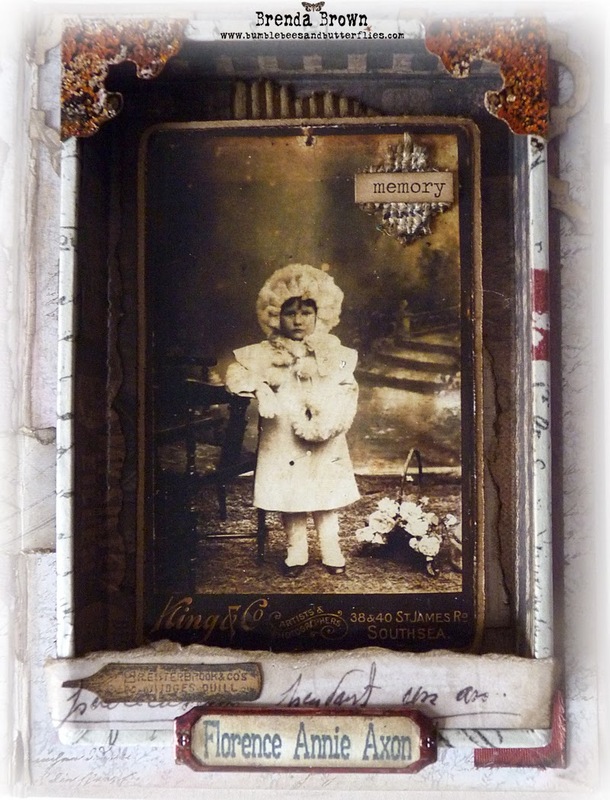 The background is the back of a cabinet card, I had used the front previously on a project and kept this piece, so it came in very handy here. 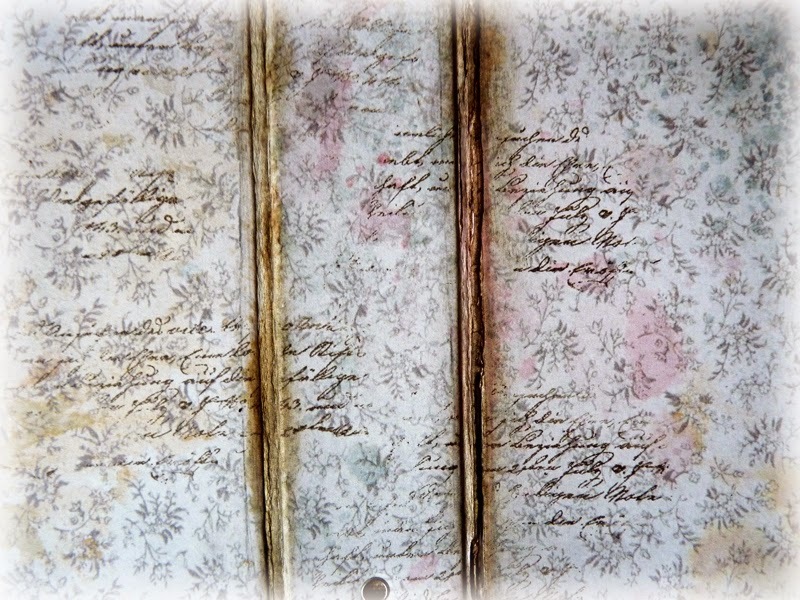 ..... a decorated back cover with a stamped image from Artistic Outpost. 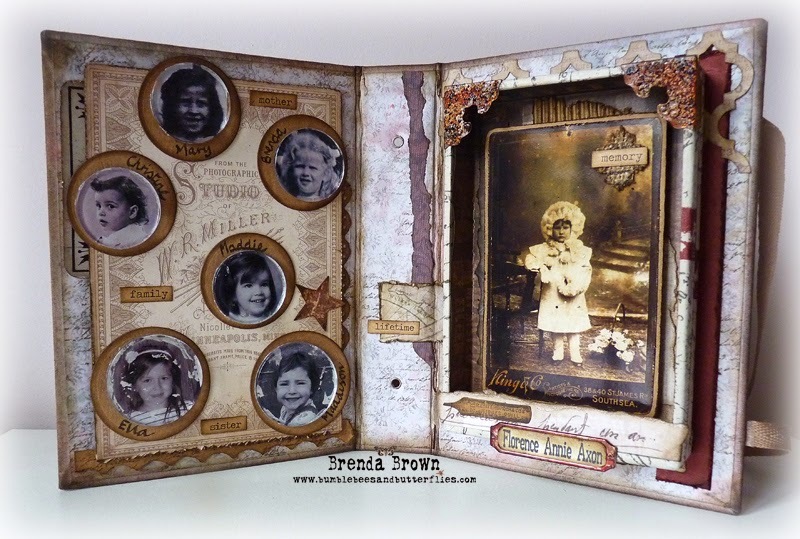 I have enjoyed making my portrait book and I know the girls will love looking at it. Most of the supplies I used can be bought at Country View Crafts who are the wonderful sponsor for AVJ donating a great £10 voucher for each fortnightly winner. Why don't you transport yourself over to the challenge blog to see all the wonderful inspiration from the other.Creative Guides, you won't be disappointed. Thanks for joining me today, for taking a look at my piece and for leaving a comment if you have time. 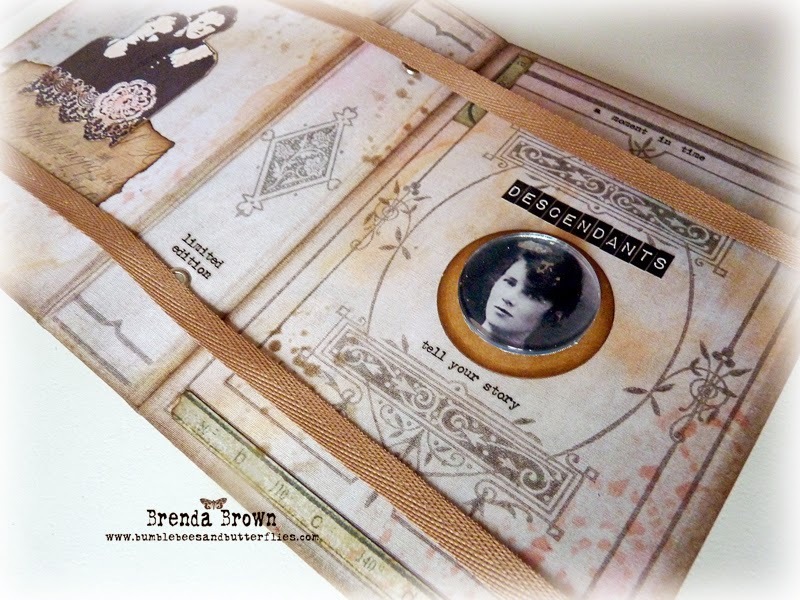 What a wonderful project Brenda! Love the subtle coloring on the covers - and the wonderfully done box inside - a lovely keepsake for your family! This is an absolutely lovely piece of work, congratulations!!!! Brilliant Brenda, such a great idea! Love the outside and the inside, - what can I say, this is going to be such a fantastic place to keep those treasure family photos, - stunning!! 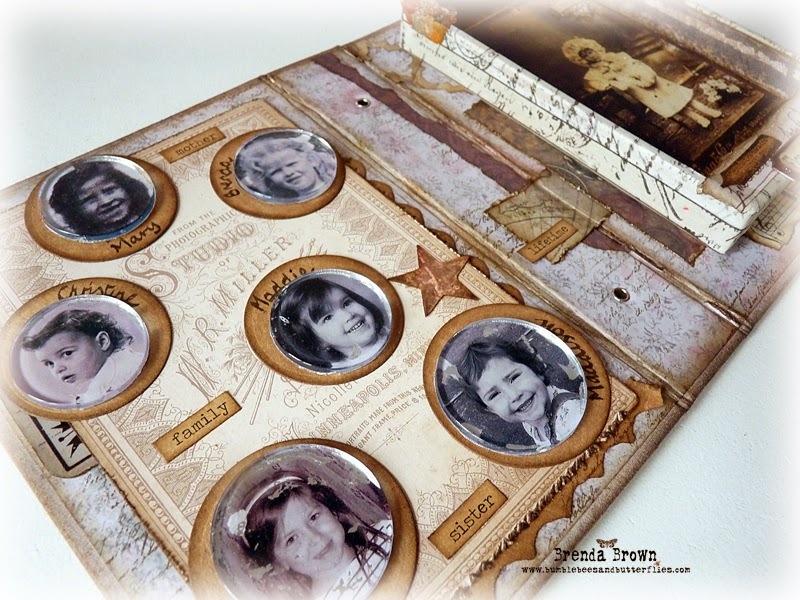 What a wonderful family portrait keepsake, Brenda - the metallic look on the photos is fab, and I love your addition of the Configurations box to the Worn Cover - what a lovely idea. Great inky colours and effects on the outside too - fabulous! Oh Brenda, I'm missing words, that's a wonderful project. Hi Brenda, what a stunning family heirloom which has been beautifully made with a lot of love clearly put into it. I love how you have mounted your Grandmothers photo and boxed it up, makes it clear she was a very important lady in all your lives and I adore the photograph of her. Elegant cover and fabulous inside Brenda!!!! It goes without saying that this is absolutely beautiful but it is also incredibly touching. You are created such special heritage art dear Brenda. PS Sorry for the late comment - we've had a few power cuts today! Brenda, this is just lovely!! I have to say that I'm enamored of the photo of your Grandmother that you mounted to the inside of your album--she's wonderful!! I'm blown away by this project...it is fantabulous!!!! 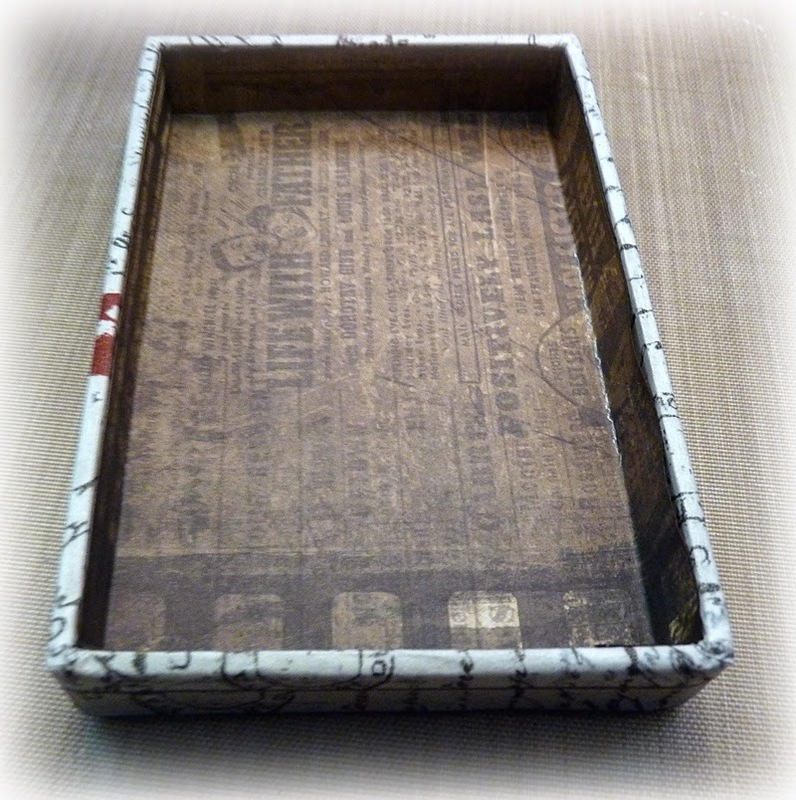 I love all the items you used and manipulated to make this so vintage! 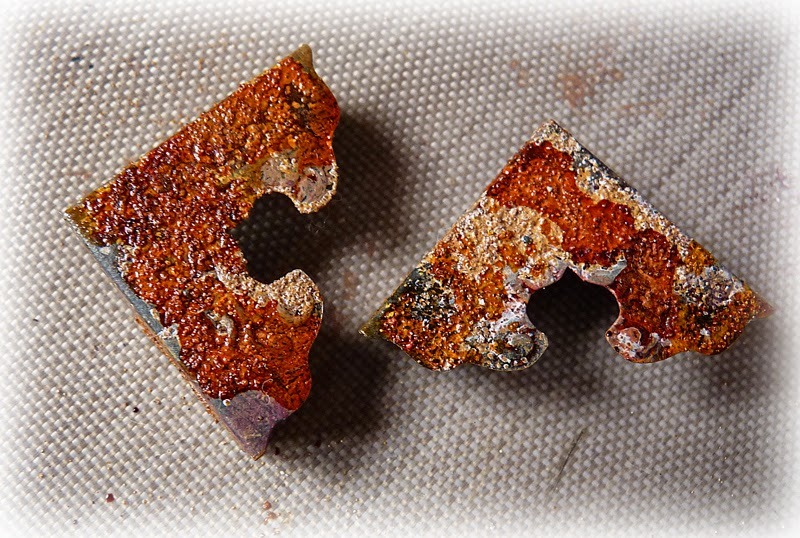 Gorgeous photos and love those corner pieces! This is a treasure!!! My Goodness, Brenda! what a family treasure this is! 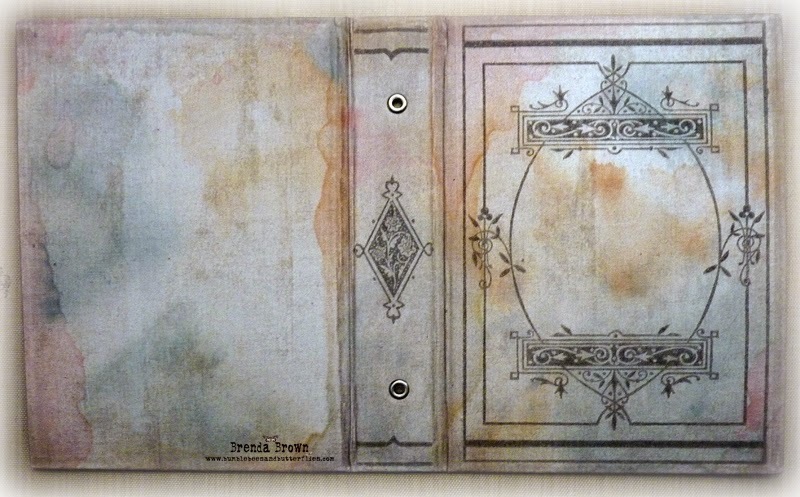 The worn cover with the water stained treatment is fabulous and to use the configs box in place of pages or just a photo by itself is genius! Just the perfect amount of embellishment! Not only is this a masterpiece, but a cherished keepsake! 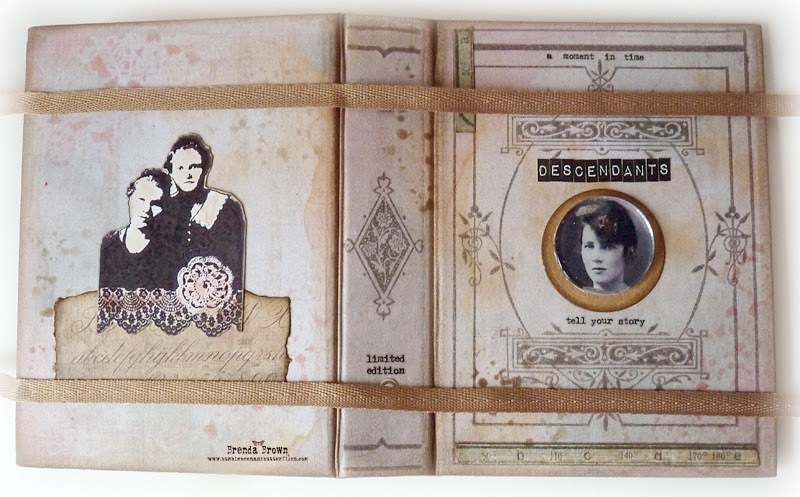 Brenda, I love what you have done with the worn book cover and made it so personal with the portraits. Hugs! 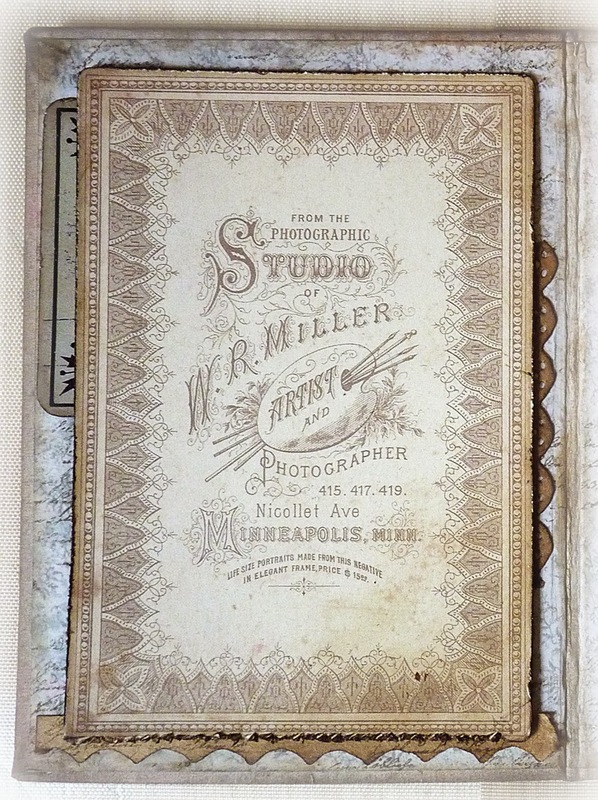 What an artful way to preserve these wonderful photos. This is simply amazing and to capture so many generations is very special. I appreciate your participation in the challenge with this lovely piece.